Bridal Shower Gift | I love weddings! 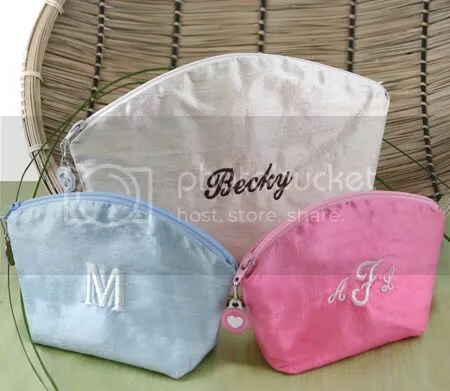 Every girl could use a cosmetic bag, which is probably why monogram cosmetic bags make popular and practical bridesmaid gifts. Following are the top 5 on my list. All are under $20. These darling and durable bags are hand made in the USA from sumptuous silk and offered in a vast selection of vibrant and up-to-date colors. The Best Part? The small ones are less than $20 each, which fits most bride’s budgets for a bridesmaid gift! Large selection of unique and trendy fonts along with a vast array of thread colors allow for the perfect embroidery to create a stylish and functional gift to match the personality of all your friends and family. Couple with the fashionable zipper pull, these bags are truly an amazing gift for any occasion. Click here for more information. Essentially the same bag as the dupioni silk cosmetic bags, these bags are made with cotton for everyday use. Available in 5 colors, and your choice of zipper pull. Click here for more information. *Another confession* I have the brown one in large for when I run my errands and don’t feel like carrying a purse. “The Cosmopolitan” cosmetic travel bag is completely chic and urban, and the elegant monogrammed button makes this a very special gift. For $10 you get to choose the monogram button to match your bridesmaid’s name. Click here for more information. 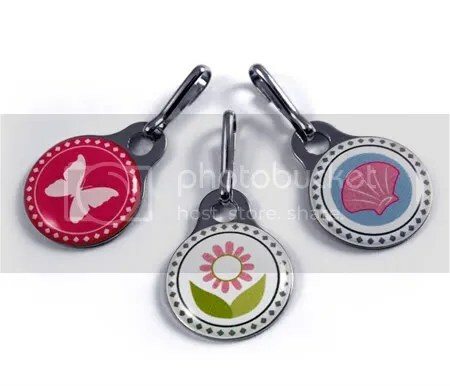 Each have their own merit and would make wonderful gift on it’s own or as a matching set. Each bag comes with a funky cable “fob” that can be engraved giving each bag that personal touch. A friend of mine gave these to her bridesmaids with the engraved key fob and it was a hit. The girls used the cosmetic bags for the wedding. They also liked the option of having a “portable” monogram key fob for all their other belongings after the wedding. Click here for more information. 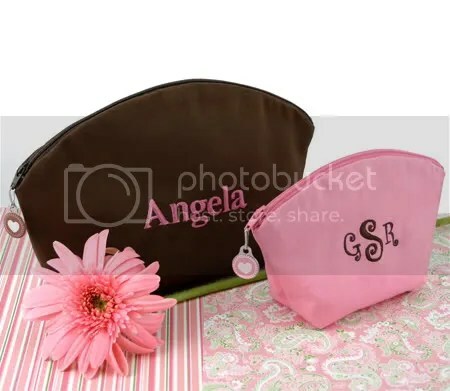 Embroider these bags with your friends’ initials for a thoughtful, useful gift for any event. Click here for more information. If you are looking for a bridal shower gift for a bride with great sense of humor, look no further. 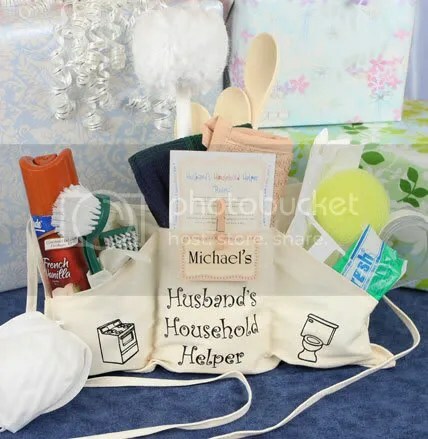 This “Husband’s Household Helper” Kit from Your Wedding Shoppe will be the talk of the party! All practical household items that can be used by the newly weds. It even comes with a personalized name card of “Husband/Husband-To-Be” and a set of “rules” for housekeeping! Everyone will get a kick out of it!